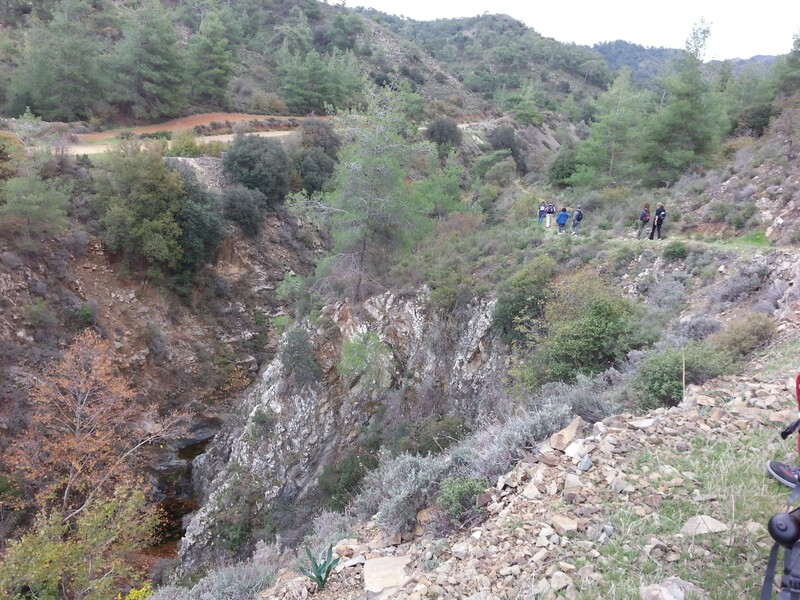 You do not get many opportunities to walk along and admire a gorge, in Cyprus. Our walk of Saturday 28 November 2015 takes place at the Mahairas mountain area. We follow a well-marked trail, which starts several km outside Politiko village on a steady gentle climb that takes us along the small but picturesque gorge of Pedieos river to Mahairas Monastery and the site of the sacrifice of hero Grigoris Afxentiou in 1957. We follow the same path downhill to return. The total distance (to and fro) is 14 km. The walk will take about 4 hours and is of medium difficulty. The walk will allow time to visit both the Afxentiou monument and the Monastery. The walk starts at 10:45 am. Christos is leading this walk, which will go ahead even in light rain; if you need to, call 99240323. For the initial 50 minutes the walk is on the left bank of the Pedieos river; we then cross over to the right bank. The walk offers impressive views of the Pedieos gorge. There is a rich variety of plants in our path, including the endemic cyclamen cyprius (it flowers from September to January), golden oaks, lavenders, orchids, crocus, asphodels.